Conn, Heather. "Sara Riel". The Canadian Encyclopedia, 22 March 2018, Historica Canada. https://www.thecanadianencyclopedia.ca/en/article/sara-riel. Accessed 20 April 2019. Sara Riel, (also known as Sister Marguerite Marie), sister of Louis Riel, Métis Grey Nun and missionary, cultural liaison, teacher, founder of female Catholic lay organization (born 11 October 1848 in St. Boniface, Red River Colony [now Manitoba]; died 27 December 1883 in Île-à-la-Crosse, SK). Sara Riel strove to empower Métis people and women through English-language and Catholic studies. Her education and multilingual abilities made her a valuable mediator between conflicting cultures in the early Red River Colony. Today, a charitable organization established by the Grey Nuns of Manitoba bears her name. 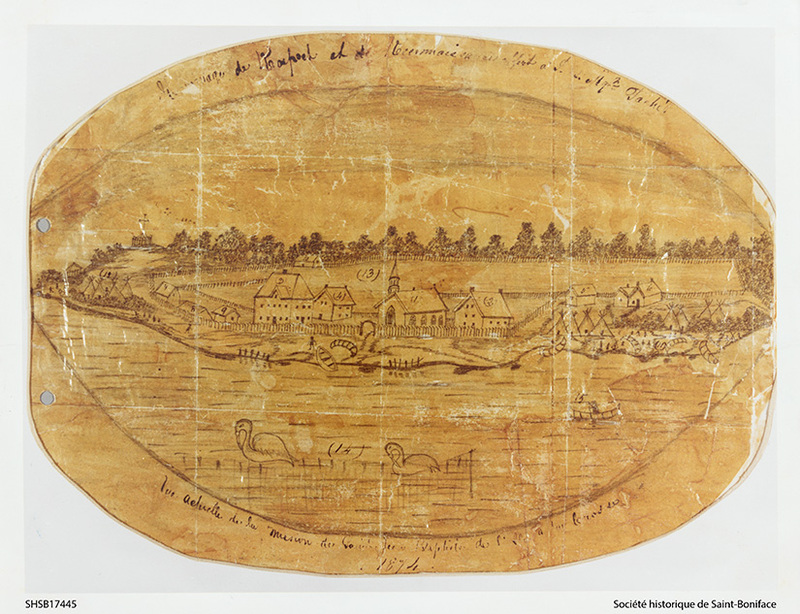 Copy of a sketch by Sara Riel of the Catholic mission at \u00cele-\u00e0-la-Crosse (1874). Sara Riel was the oldest daughter of 11 children in a devout and privileged Catholic Métis family. Her brother Louis, who became the Métis leader, was the eldest brother. She attended boarding school in the Red River Colony, a settlement that bordered present-day Manitoba and North Dakota. Educated in the Catholic doctrine and cultural traditions of a European finishing school, Riel showed talent in fine arts. She could speak English, French, Cree and Michif. When Riel’s wealthy father died in 1864, the family had no crops and faced drought and famine. She remained in school while her youngest siblings withdrew. Despite growing discrimination against Métis workers, her oldest siblings found waged labour. In 1865, Riel joined the Grey Nuns, an order with a long tradition of accepting people of diverse classes and cultural backgrounds. Sara Riel became a Grey Nun and served the Red River area in 1868. She started teaching at the Grey Nuns’ day school in St. Norbert, but the nuns moved her to three separate parishes over the next few years, fearing for her safety. 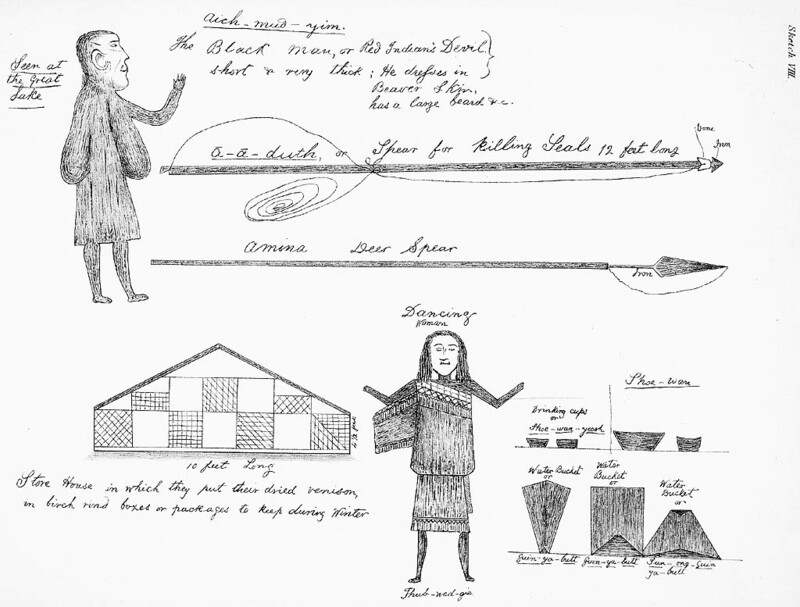 They worried that her brother Louis’s resistance activities against the Hudson’s Bay Company (HBC) and Anglo-Protestant authorities might make her a target. With conflicting sympathies, Sara Riel served as a goodwill ambassador to Sir Adams George Archibald, first lieutenant-governor of Manitoba and the Northwest Territories (1870–72). In 1871, she joined the Grey Nuns’ mission at Île-à-la-Crosse in northern Saskatchewan, which was home to an isolated HBC trading post. In the short summers and severe winters of the Canadian subarctic, Riel spent long hours teaching at the school there, tending to hospital patients, working on the farm and in the gardens and preparing meals. The school, officially recognized as a boarding school in 1897, later operated as a residential school. As the only English-speaking missionary at Île-à-la-Crosse, Riel served as a liaison between the mission, the HBC, Métis workers and the Dene and Cree peoples. She introduced the first English classes at Île-à-la-Crosse and believed that these language skills would help Métis students enhance their status and opportunities. But Métis parents, many of whom were marginalized hunter-traders who resented the HBC’s power, felt that Riel was forcing English on their children. When they demanded the school’s closure over this, she stopped teaching the unpopular language. Riel became godmother to several Île-à-la-Crosse children between 1876 and 1880. She tried to fund an orphanage, using land that she had received as a Métis person under the Manitoba Act, but Grey Nuns could not own property. The Grey Nuns’ Council decided that Riel’s struggling Métis relatives needed the money more than they did, and the orphanage was never built. Instead, Riel created a successful lay organization for female students and elders who had worked as translators, teachers and cultural liaisons for Catholic missions. Riel suffered from severe pneumonia in November 1872. Believed to be dying, she received her last rites. Her pastor prayed to his patron saint, France’s mystic Marguerite Marie Alacoque, for a cure. Riel’s health returned immediately, and she believed that a miracle had occurred. For the rest of her life, Riel went by the title Sister Marguerite Marie. She distanced herself from the Métis community in Red River. Riel remained close to her brother, even though his resistance against the government for Métis autonomy seemed to contradict her pro-English-speaking stance as an HBC liaison and translator. The siblings shared tender letters over the years about their lives; 40 are available, in French, at the St. Boniface Historical Society archives in Winnipeg, Manitoba. Riel often wished that her brother would join the priesthood. She was devastated to learn that he had married a young Métis woman, Marguerite Monet, in April 1881. During this time, she wrote letters that detailed her worsening health and shared a premonition that death was near. According to priest Jules Le Chevalier, in his book Batoche: les missionnaires du nord-ouest pendant les troubles de 1885 (1941), Riel’s brother accused the Grey Nuns of Île-à-la-Crosse of letting Sara die in misery. Fearing possible attack during the North-West Rebellion, they fled to a small island, north of Patuanak, in Saskatchewan on 27 April 1885. They returned to Île-à-la-Crosse on 29 May of that year. Sarah Carter and Patricia Alice McCormack, “Repositioning the Missionary: Sara Riel, the Grey Nuns, and Aboriginal Women in Catholic Missions of the Northwest” in Recollecting: Lives of Aboriginal Women of the Canadian Northwest and Borderlands (2011). Mary Veronica Jordan, To Louis From Your Sister Who Loves You, Sara Riel (1974). Lesley A. Erickson, “Bury Our Sorrows in the Sacred Heart” in Unsettled Pasts: Reconceiving the West Through Women’s History (2005). MANITOBA HISTORY Read Sister Marie Bonin’s article, “The Grey Nuns and the Red River Settlement,” originally published in Manitoba History, Number 11 (Spring 1986). METIS MUSEUM Explore the website of the Gabriel Dumont Institute of Native Studies and Applied Research to learn more about Métis people in Canada. SOCIÉTÉ HISTORIQUE DE SAINT-BONIFACE This link provides English summaries of the letters between Louis and Sara Riel, with digitized images of the letters in French.